After the excitement of the Six of Wands last week, we move into a quieter week with the influence of The Hanged Man. Due to the name of this card, many people approach it with misconceptions about its meaning – they assume that it means something bad but I can assure you it doesn’t. The Hanged Man is all about surrender. Often we try to control everything in our lives, especially when we’re waiting on the outcome of a situation or a decision – say when we’re waiting to hear back about a job or the outcome of a legal case. Subconsciously we try to force outcomes, which is ridiculous given that we can’t control them. 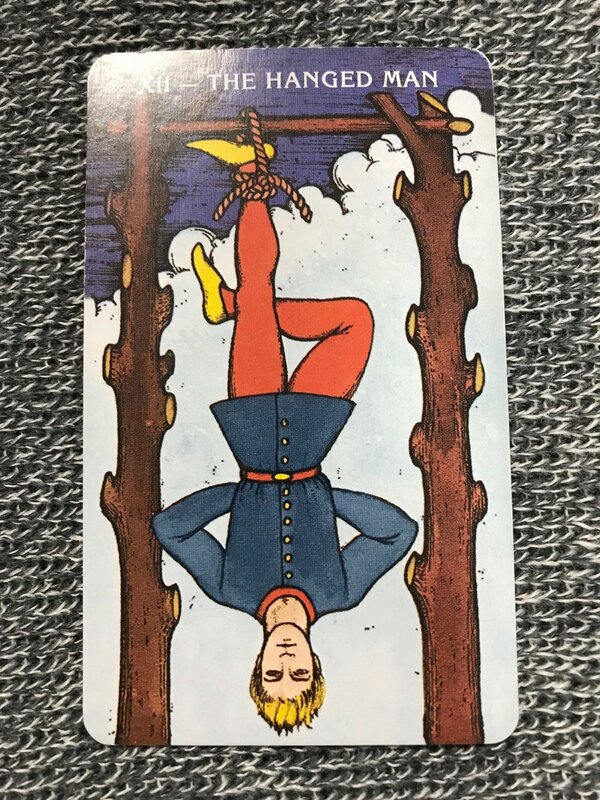 The Hanged Man is asking you to let go. To trust that you’re exactly where you need to be right now and that everything will work out for the highest good of all. Take a deep breath. Allow that truth to sink in. How does it feel? Chances are it makes you feel a lot lighter. Bring that lightness into this week and know that you’re being guided. What will be, will be.